Long time no release. Ehehehe. I got lazy, no two ways about it. Aku no Meshitsukai ch 4 should be coming up once I get the cleans... And also I found Water Cube volume 1 raws woohoo so I'll start work on that. 3 Level Combination hasn't been updated in a while because the group that's taken over it (I'm in it) is busy with other projects, and 3LC isn't a high priority. Sorry to any of its readers. Enjoy the read. 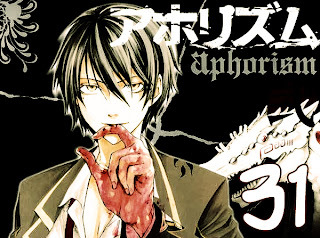 I'll be translating Aphorism again (took a break the past 2 chapters), so hopefully the releases should be faster.